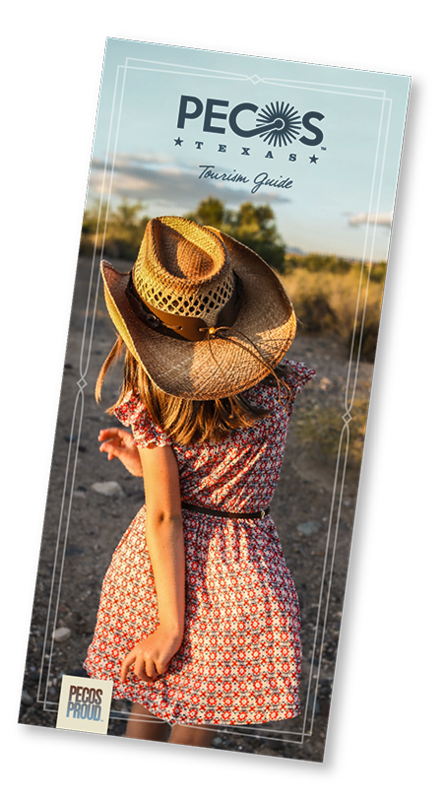 Enjoy the land and creatures of the Trans-Pecos area while you kick back with us. 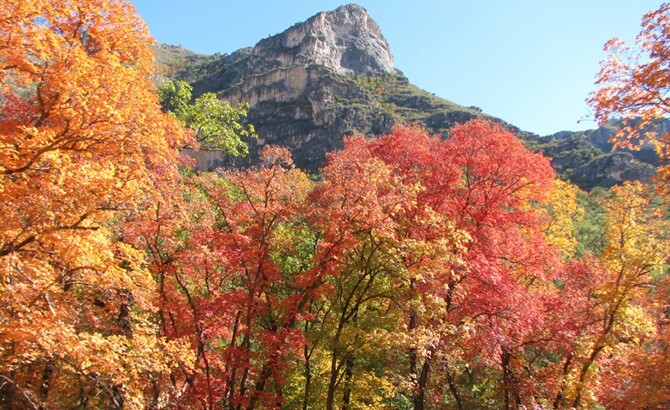 Located in the Guadalupe Mountains National Park, McKittrick Canyon boasts foliage colors that contrast dramatically in the arid Chihuahuan desert. See dusty greens and brightly colored prickly pear blooms against steep canyon walls and blue skies. This 800,000-acre national park contains three basic habitats: river, desert, and mountains. And it’s the only park in the United States that contains a complete mountain range—the Chisos. Dive into the world’s largest spring-fed swimming pool, measuring 1.75 acres and dating back to the 1930s. You can swim, scuba, or skin dive for a view of the underwater world. The pool is 25 feet deep and remains a pleasant 72–76º year-round. 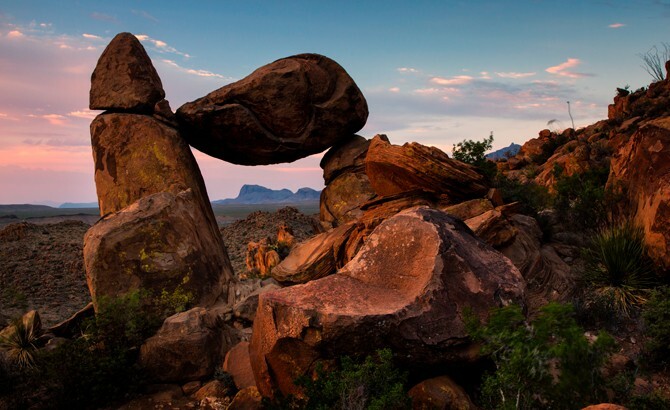 Embrace some of the most remote and rugged terrain in the Southwest at the largest state park in Texas. Mountains, canyons, plateaus, rivers, and waterfalls make this a breathtaking adventure whether you’re hiking, rafting, or horseback riding. East of Big Bend National Park lies an amazingly pristine 100,000 acres with 30 miles of riverside known as Black Gap. A region for wildlife study and regulated hunting, it’s home to species like javelina, deer, and game birds. One of the deepest, largest, and most ornate caverns ever found, Carlsbad Caverns is home to the fifth largest chamber in North America. Visitors can hike in or take an elevator, but in the “olden days,” you’d have gone down in a mining bucket! Take in the botanical garden and greenhouse trails that boast native plants, cacti, trees, and flowers. Don't leave out the geological trail to the top of the hill for a spectacular vista view. You have to see it to believe it! Elephant Mountain is a robust 23,000 acres in the Trans-Pecos region. You'll find many activities like hunting, camping, and hiking, and you’re likely to spot desert bighorn and mule deer, pronghorn antelope, whiptail lizards, and more. Initially, Fort Davis served as a temporary refuge for thousands of emigrants, freighters, and travelers during the decade after the Civil War. It’s one of the best surviving examples of an Indian Wars’ frontier military post in the Southwest. One of the world’s prime examples of a fossil reef from the Permian Era, this park is known for extensive hiking/backpacking trails. It’s one of the nation’s most pristine wilderness regions and harbors the highest point in Texas: Guadalupe Peak. This facility houses an original 82-inch telescope built in 1933 and a state-of-the-art visitors’ center. The observatory demonstrates how astronomers use spectroscopy to chart the heavens and offers solar viewings and star parties. Enjoy the thrill of walking or playing across 4,000 acres of white, sparkling Sahara-like sand dunes rising as high as 70 feet. Spend the day hiking, horseback riding, bird and wildlife watching, or sand surfing. Located on the Pecos River just below the Texas-New Mexico border, this 11,700-acre reservoir is an irrigation project that provides a variety of water sports year-round. You can also try your hand at fishing or settle in for some bird watching.